In the rap game today, Action Bronson is surely one of the best MC's to grace the mic in the last decade. 90's revival rap that takes no prisoners and brings a fresh take on raps golden age. His EP "Saab Stories" seems to take a little bit more of a mainstream approach than his other releases, and I must admit that I prefer his other releases more than this one. 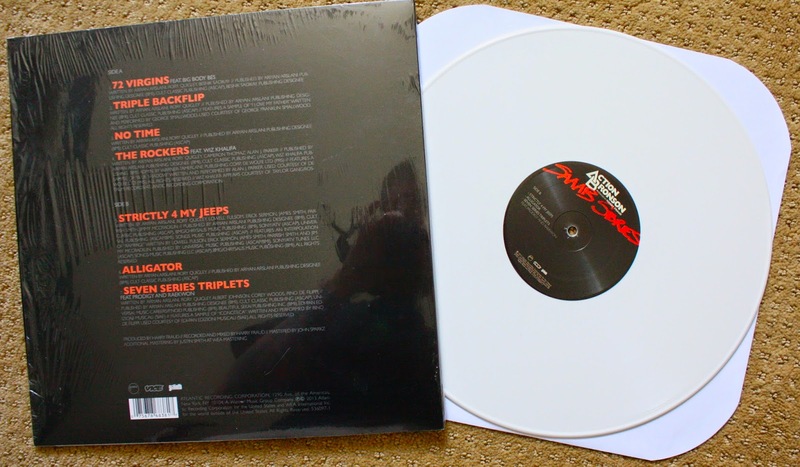 However, seeing this get sold out really fast on red vinyl inspired me to grab it on white vinyl when I saw it at a local record store in Santa Cruz. Bronsalino is still the man, so anything he puts out on vinyl from here on out... I'm all over it. If you aren't familiar with him, check out the "Strictly 4 My Jeeps" video below. Bam bam in the buildin.